Keeps the bugs away, naturally. 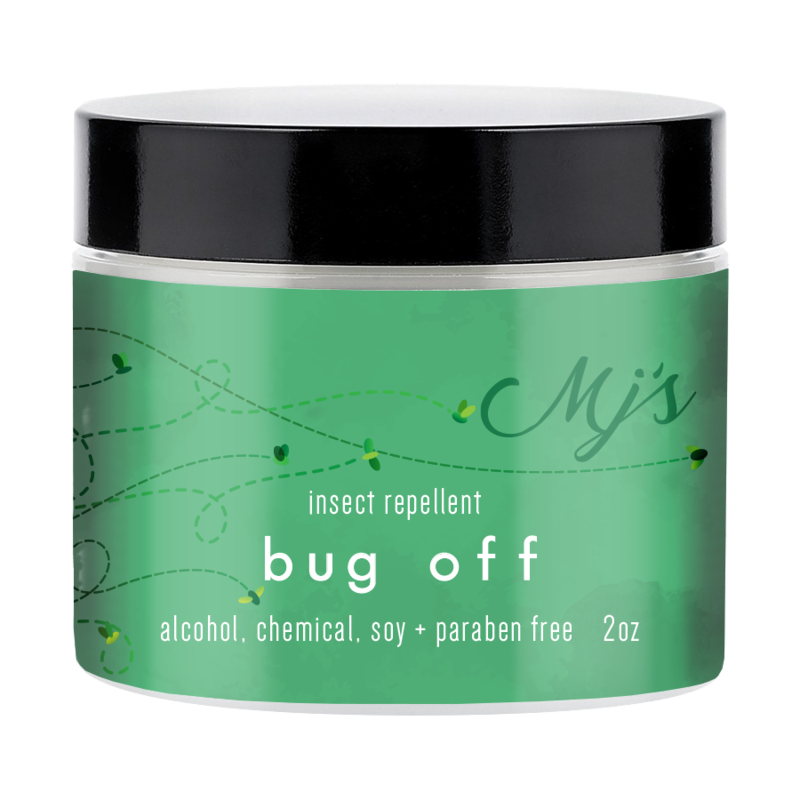 Thanks for choosing MJ’s Bug Off, an alcohol, chemical, soy and paraben free product made in Steamboat Springs, CO since 2004. Ingredients(*)indicates organic: H20, vegetable glycerin*, apricot kernel oil*, fractionated coconut oil*, avocado*, aloe*, mango* and shea* butters, beeswax*, vegetable based emulsifying wax*, grapefruit seed* and rosemary oil* extracts, essential oil*.